Finally, Soul Bird. 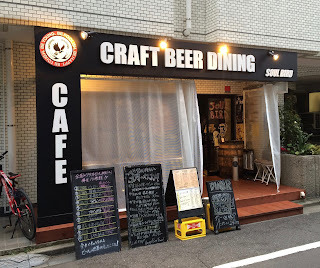 Probably the most conventionally styled of all of these places (see the previous parts), Soul Bird is exactly what you would expect from a Japanese craft beer bar. - Bigger than it looks at first. Plenty of seating as there is a patio out front and a large back room. All in all seating for about 40 and a counter that seats four. 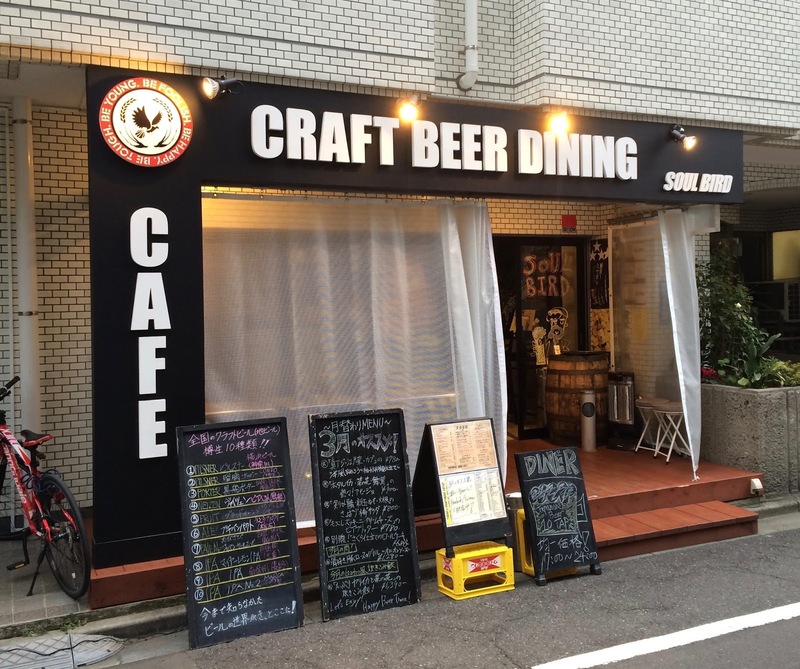 - 10 taps of Japanese craft beer, some from breweries that you don't see so often in Tokyo (Marca, for example). Beer is served in two sizes, 280ml and 450ml for ¥660 and ¥880 respectively. They also have a beer flight of three 180ml glasses of your choice for ¥1200 (I think. Sorry, I forgot to write down the price, but I seem to remember it was clearly marked). There's no cover charge, but tax is added on at the end. - Nice atmosphere to the place. Hope they are doing ok with all of the competition in the area. So, overall, a nice place with some beers that you don't see in too many other places. A little bit out of my way, but if I'm in the area this is somewhere that I'd go back to.